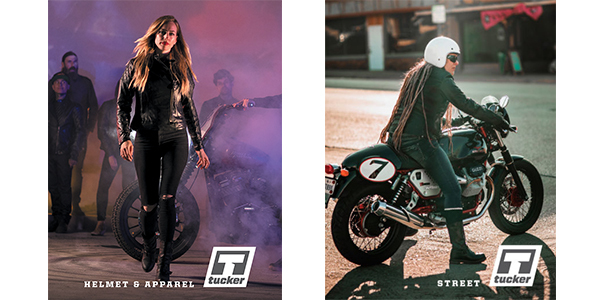 Tucker has introduced its 2019 Helmet & Apparel and Street catalogs. Each book contains products from the brands customers ask for by name with many available exclusively from Tucker. The 2019 Helmet & Apparel catalog features a massive selection of apparel, helmets and rider accessories; and the same goes for the 2019 Tucker Street catalog with its wide range of street-focused parts and accessories. A few examples of the new product and brand offerings available in each of the two 2019 Tucker catalogs include the following. View the online version of the 2019 Tucker Helmet & Apparel catalog here. High-quality, affordable custom parts for Triumph, BMW and other café-style machines. View the online version of the 2019 Tucker Street catalog here.